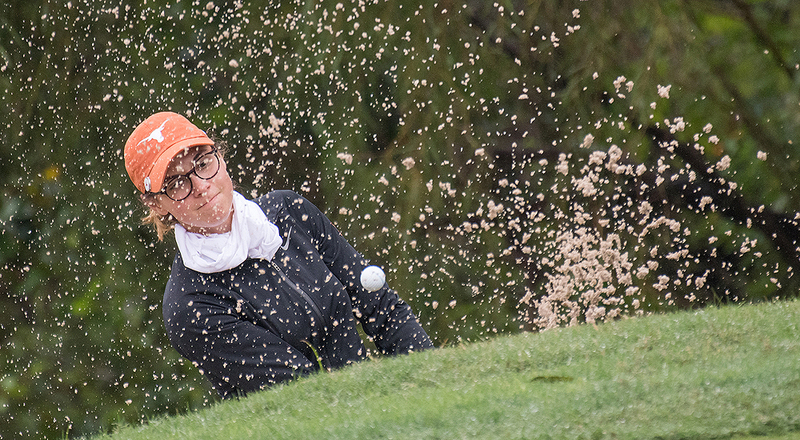 Sophomore Agathe Laisne shot a two-over three-round score of 218 to help lead the No. 2 Texas women's golf team to its third consecutive Big 12 title (photo courtesy of texassports.com). BROKEN ARROW, Okla. — The No. 2 Texas women’s golf team fired a three-round 13-over-par 877 (287-297-293) to win the Big 12 Conference Championship at the Golf Club of Oklahoma in Broken Arrow, Okla. The Longhorns beat runner-up Baylor by 37 strokes, the largest margin in the history of the conference’s postseason tournament. No. 18 Oklahoma was third with a 52-over-par 916.